Are you looking for MORE? This is IT! Do you feel that you don't fit in the conv entional "Cookie Cutter" subdivision. This it IT! Plenty of parking for: RV, Sem i truck, Cab, boat, etc. 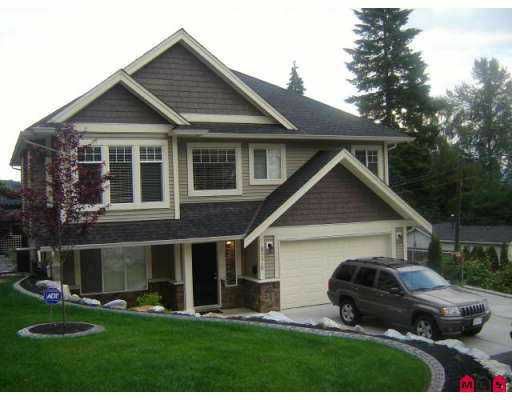 House includes 5 bedrooms, 1 den and 4 full bathrooms, 3 bedrooms and a den with full bathroom in the main living area. 2 bedrooms and a full kitchen downstairs. Invite your inlaws.. they may never leave! Crown molding everywhere. 9' ceilings on the main. A GORGEOUS/HUGE maple kitchen. Traditional li ving/dining/family room and casual eating area! CENTRAL AIR CONDITIONING for those HOT summer days! Landscaping professionally done. Separate 9x9 garden shed. You have nothing to do but MOVE IN!